Our big news is smaller sizes! Now 9 of our most popular canned beans are available in smaller packaging for your convenience. For FREE samples, just call 877-877-6032. Sometimes a #10 can is more than you need. 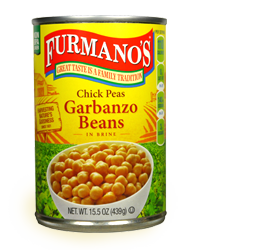 To be more cost efficient and less wasteful in your kitchen, Furmano's is introducing 15.5 oz. 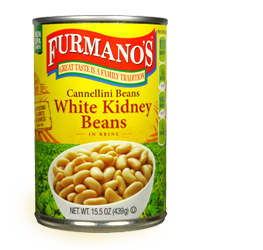 cans for operations with smaller ingredient requirements. Packed 24 cans per case, our bean products are easier to handle and a perfect fit in any foodservice kitchen. At Furmano's we cook one batch at a time - crafting a flavorful product that brings out the best nature has to offer. Starting with select harvests from the finest growing regions, we test our beans twice for quality and then cook them with care. 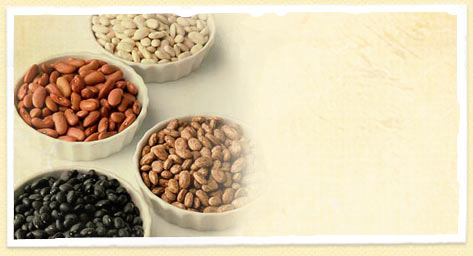 All so you can serve healthy, delicious beans at the very peak of flavor, color and texture. Furmano's beans provide a great source of protein, are high in fiber, low in calories and gluten free. 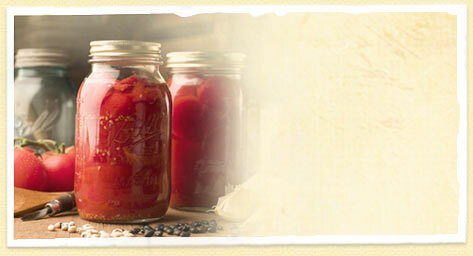 For some creative menu ideas, visit our Recipes page. And try out our recipe calculator to view your favorite recipes in any serving size you need.